Anahata Iradah is a senior teacher in the Mentor Teacher’s Guild of the International Network for the Dances of Universal Peace. She is a gifted musician, teacher, composer, songwriter, meditation teacher, DVD author and documentary film producer. The revered Buddhist teacher Shinzen Young has been her personal guide in the path of Vipassana meditation. With his encouragement she has combined the Dances of Universal Peace and Buddhist meditation techniques and teachings. 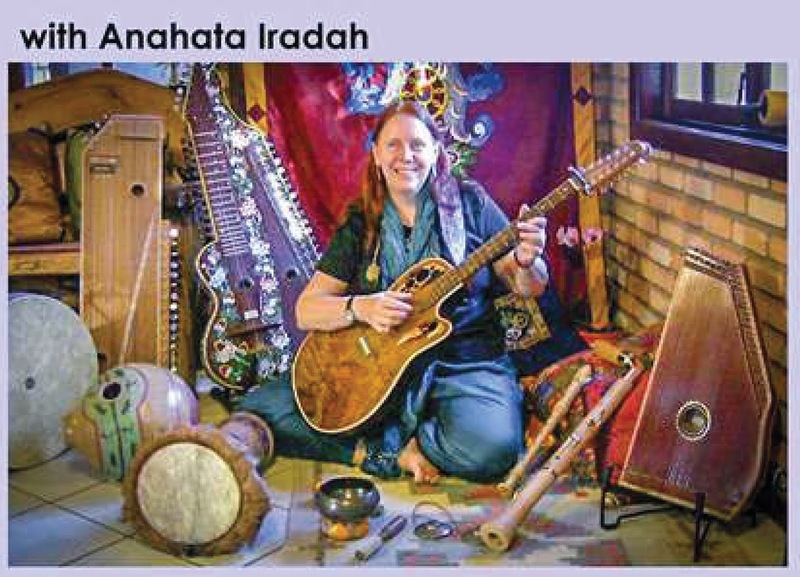 She orchestrates spiritual pilgrimage to India, Nepal and Brasil. The quality that stirs her heart most is the attribute of kindness. "What if the music for the dances were not merely functional, but an equal partner to the dancing, each serving the sacred phrase. What if we had to reach into the music, each with our specific skills (which could be modest or highly developed) and draw from the music the medicine that not only carries the dance but inspires the dance to be a unique expression of that moment in time." Ten 30-minute sessions will be available for individual time with Anahata, either privately or with group witnessing. More may be added at Anahata's discretion as time and energy allow. We will keep a wait list if needed. Fri night’s Dance of Universal Peace circle will be led by this group. Retreat ends with Closing Circle with Anahata at 2:30p. This retreat for musicians and leaders is connected to a Dance Retreat called Dancing Ourselves Awake. See more details about that retreat here. $25 will be added to registrations starting Monday, March 4, 2019. The 30-minute individual session is an additional $25. Scholarships available. If you'd like to be considered for a scholarship, please email Morgan@healingpartners.biz with a short note about what this scholarship would mean to you. Registration for Dancing Ourselves Awake is included when registering for The Music and the Dance. We are grateful for support from The Oneness Project for this musicianship and leadership retreat. Registration: is now Online! Please go here to complete your registration. If you started and saved your registration and need to return to it, go to this link. We are offering payment by Check or Credit Card by Invoice. Credit Card payments are subject to a 5% service fee. Please remit payment within 7 days of registration. If we have not received your payment in 14 days of registration, we will invoice you. If you registered during the early bird period and payment is not received by March 3, 2019, your early bird discount will be removed. 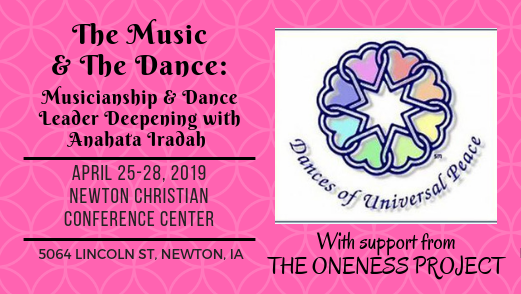 Please make checks out to "Points Of Light Music"
The Retreat Location is the lovely Newton Christian Conference Center just outside of Newton, Iowa. A variety of onsite lodging is available between $25-75 per night and meal packages are available. 12 hotel room-like "Lodge Rooms" are available for $75 per Room per night. Reserve these quickly! They will go fast. 30-some bunks are available in the Cabin for $25 per Person per night. If staying in the Cabin, you can bring your own linens or have the retreat center supply them for you for an additional $7. If you are bringing an RV, please register for dances and meals here and then contact the Newton Conference Center to make arrangements. Their number is 641-792-1266. The deadline for lodging arrangements is April 10, 2019. If you would like a list of local offsite lodging, read the bottom of this post here. Board: NCCC will honor all dietary needs to the best of their ability. Please share details during the registration process. Purchasing individual meals also available for $12 each. Please RSVP by April 10, 2019. Organized by Dances DSM and Points of Light Music.